Phew, there were an awful lot of comments on my last post - and thanks for all your kind words! Did I catch you by surprise? 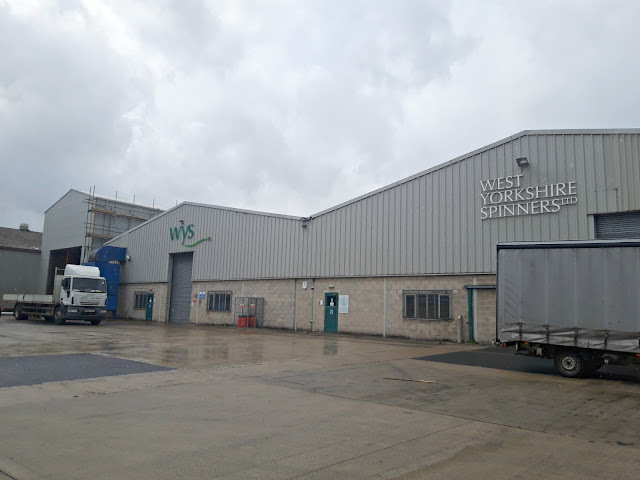 We've been working on this together for quite some time now, West Yorkshire Spinners and I; it's been super-exciting and at last I can start to tell you all about it. Oh, this has been a BIG secret to hold onto, I can tell you! So how did it happen, then? How did this Mum from Winwick find her name on the ball bands of West Yorkshire Spinners Signature 4ply yarn? Read on, and I'll tell you more! Are you a daydreamer? Do you find yourself drifting off as a movie scene plays in your head of what could be? I do - and whilst I must confess that I'm particularly good at the what-if disaster movies (this book helped me no end with that), I am also a big fan of the happy-ever-after type movies as well. And why shouldn't we be? Daydreaming isn't just for children, it's important for adults too. And there my list stayed, just like that, for quite some time. There's no point in rushing these things; to my mind, daydream lists aren't quite the same thing as goals to be worked towards as you don't need to know how they're going to work out, just that you'd like them to, but if you write them down anyway then it doesn't hurt - and besides, writing something down makes it much more likely to happen than keeping it locked away in your head and I like the idea of that. And then something did happen. 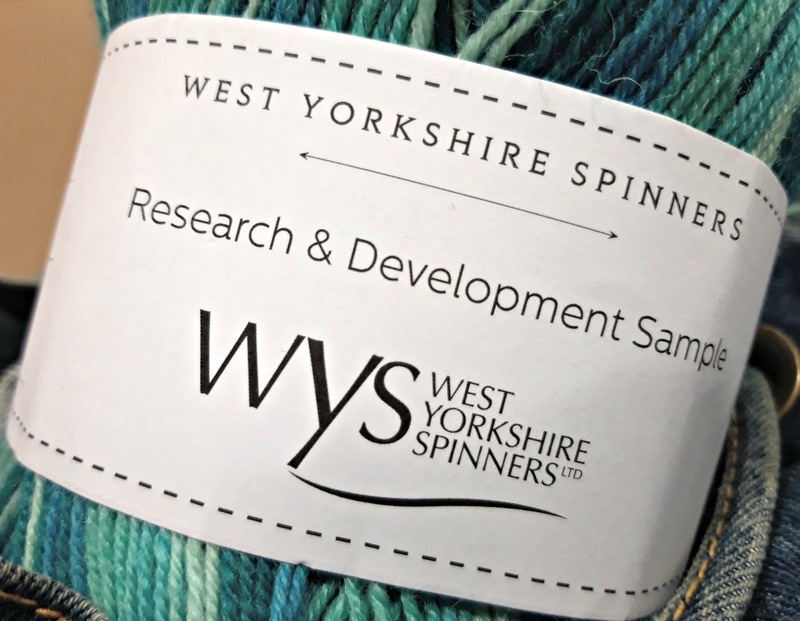 West Yorkshire Spinners launched their Signature 4ply range which is perfect for socks. It incorporates Blue-faced Leicester wool in the yarn blend, is good value, knits up beautifully and is dyed in fabulous stripes*. Oh, I was so excited to see this yarn! It ticks all of the boxes on my list and as far as I was concerned, this was my ideal yarn list materialised. I love using it for my own socks and have always been very happy to recommend it to beginners as well - buying the cheapest yarn you can find doesn't always make knitting your first pair of socks very easy and this yarn copes very well with being ripped out if you go wrong - something that beginners often know plenty about! As you'll know if you're a regular reader of my blog, I am fascinated to know how things work so I was delighted to be able to take a tour of the mill to see how the fleece became yarn. And you know how you meet some people and you just really like them? That's how it was with the people at West Yorkshire Spinners. Lovely yarn and lovely yarn folks on a mission to spin and sell yarn with a provenance - "reared, sheared and spun in Britain". 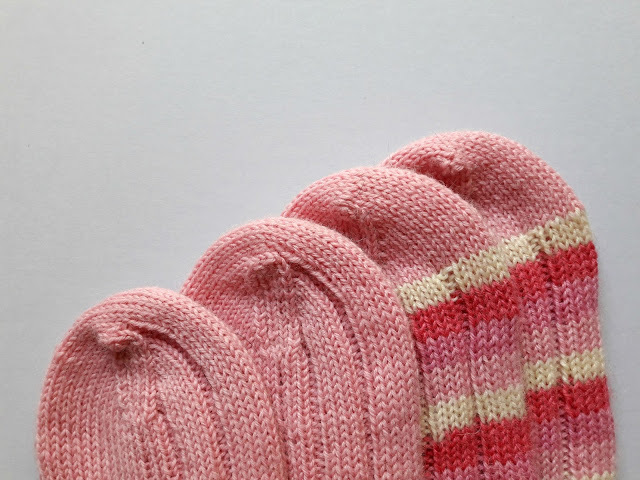 This is a plain sock with the new Ribbed Heel Stitch heel flap** - a stretchier version of the usual heel flap which is perfect for those who find the regular heel stitch a bit tight for them. I just love love LOVE this yarn! I was worried that might make me sound a bit egotistical if I said it out loud, so I never did. But then one day, somebody told me that she'd found my Sockalong tutorials through an internet search and when she saw my name, she knew she'd found the tutorials for her. "I saw you were a Mum and I knew you'd help me," she said. And that's when I added "got my name on it" to my list. If having my name on a ball of yarn meant that people knew it would be OK for them to use and that they'd be able to make a pair of socks, then that's what I wanted. And I loved WYS Signature yarn so much that if I was going to put my name on any yarn, this one was at the top of the list. Fortunately, WYS thought this was a great idea, and that's why you're reading this blog post now! So what does this mean for the future? Will I still be knitting with other yarns and posting patterns on my blog? Yes, of course. I'm still free to do that, just as West Yorkshire Spinners are free to create their own yarns and work with other designers. This is a collaboration, a pooling of our resources - my passion for socks with their passion for yarn - to create something new and exciting - and hopefully encourage more people to try knitting socks! * I need to point out that West Yorkshire Spinners Signature 4ply yarn isn't just for knitting socks. It's also fabulous for shawls, scarves, jumpers, cardigans, blankets and just about anything you can think of that requires a good quality, good value, machine washable (oh, so useful!) 4ply yarn. But is it particularly good for socks. 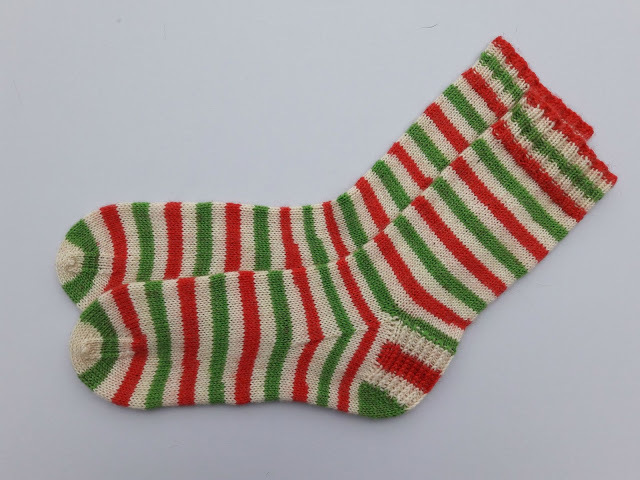 ** Candy Cane and Fairy Lights were both limited edition patterns given away free with the yarn (also limited edition), but in case you didn't get a copy and you'd like to try out the Ribbed Heel Stitch heel flap, you can find it here. This is fabulous Christine you have worked so hard at building the community of sock knitting folk. How wonderful for you, perfect solution. I too used your blog post to knit my 1st pair socks and I'm now hooked. What a perfect combination. My favourite yarn producers and the woman who launched me into the world of sock knitting. Congratulations and I can't wait! Congratulations - this is so amazing! Looking forward to purchasing some of the yarn very soon. The reason I started socks, too,,,! After seeing yr name and blog on lucys site when I was first following her story of knitting socks! My son, who doesn't want home made socks, went into a wool shop for "the worst sock wool you have" for a Christmas present for me. He was given WYS Signature and as soon as I saw it I knew how well it would knit up. I am using your Fairy Lights free pattern that I was given at my sock club and they are knitting up beautifully and I love them. One in the eye for my son!! This is great christine . I agree you couldnt put your nameto a better yarn .Well done and very much deserved ,i would never have made socks if it wasnt for your brilliant tutorials. So exciting and I can't wait to see more!! Wonderful,I am supposed to be knitting from stash this year BUT, I am allowed to buy yarn for gift knitting. The whole family will be getting "Winwick Mum" socks this year, possibly for birthdays and Christmas. Hi Christine that is really great for you. I have both of you books and have finished one pair of socks and doing another pair now but I cannot wear WYS wool because of eczema. Do you know anyone in this country who makes merino wool as that is what I can wear? Congratulations Christine, how fabulous to have your name on beautiful wool. And yes you do thoroughly deserve it. Just ask all of us who have started knitting socks because of you. Hopefully we will be able to buy online as NZ is far away from the shops in the UK. wow that's awesome! well done! So excited about this yarn! It seems fitting to get the recognition you deserve for getting so many of us to try knitting socks! I certainly wouldn’t be a sock addict now without your guidance! 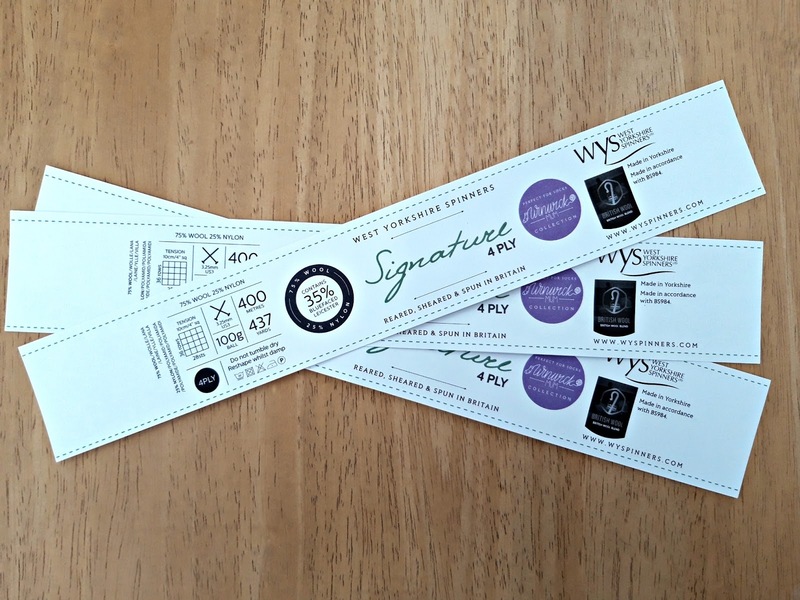 WYS yarn is lovely anyway, but your name on it will be the icing on the cake! It was you who inspired me to try knitting socks and I'm hooked. I can't wait for your wool to be available so I can add more to my stash. Well done Christine. I'm glad I found you. THere's only one expression for this - absolutely fabulous!! I look forward to trying some out. I am so thrilled for you with this collaboration. 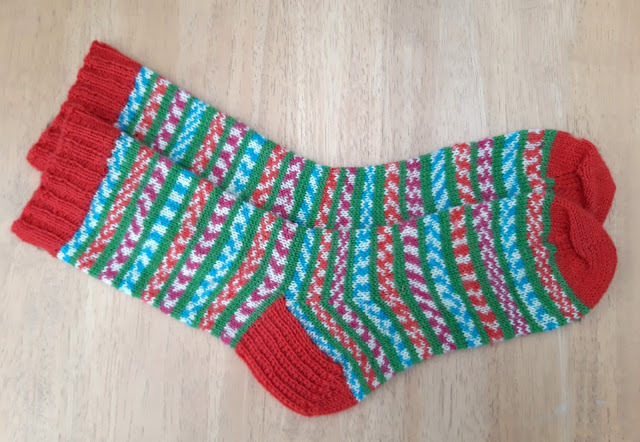 I always point people to your blog etc when they ask how I learned to knit socks and tell them what a very inspirational and special crafter you are.